Visit the largest alien and ufo news website webelieveinaliens. Did Native Americans Communicate with Aliens? 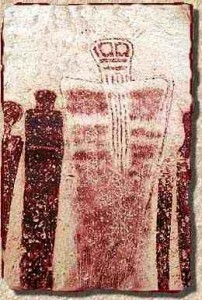 We know for sure that aliens visited our planet many times in the ancient times. Do you know with which tribes and people did aliens communicate? According to ancient alien theorists, aliens used to visit earth for their benefits such as mining for essential minerals and leaving the signs of their existence. What was the connection between aliens and ancient people? There was a strong connection between the two species. Aliens needed to explore our land whereas humans needed to understand the basic principles of technology and science. Both the species made a fair deal between themselves. It is one of the reasons behind the creation of every religion on our planet. This is what ancient alien theorists believe. Is this how the mankind started to make progress in terms of science and technology? It is possible that aliens provided knowledge of science and technology to the humans. According to ancient alien theorists, human beings started to make progress in the field of science and technology while the aliens kept exploring our planet in search of minerals. Once the humans gained enough understanding of science and technology, they must have decided that they don’t need the aliens around their planet. It explains very nicely why the war between aliens and humans might have taken place. Ancient alien researchers believe that a war between aliens and humans took place and destroyed many cities. Is it possible that Native Americans were somehow connected with the aliens? It might be possible as the history suggests that aliens have been connected with many ancient civilizations. Is there any evidence regarding Native Americans being connected with aliens? No there is not enough evidence to present this theory as a fact. What we know is that Native Americans mention their strange experiences which indicate UFO sightings and alien encounters. Some stories even lead us to believe that alien abduction events also took place in the time of Native Americans. Do you know the research was actually started to find out whether the Native Americans were outer-space beings or humans? Yes that’s right, this was the actual purpose of research. It was revealed later that Native Americans were not aliens. 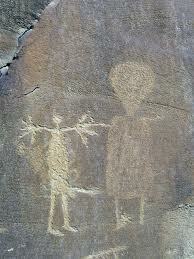 The research concluded that Native Americans were the humans which might have communicated with extraterrestrials. Do you know that many of the Native American monuments were built by aliens? Native Americans’ history provides us the details that they were not familiar with the advance astronomy and astrology information. According to this fact, Native Americans could not build monuments which required advance astronomical knowledge in order to be constructed. 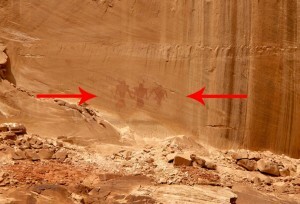 Native Americans built items which make clear patterns that are visible from the top view. The Native Americans built way more impressive monuments as compared to North and South Americans in terms of design, architecture, astronomy knowledge and building techniques? There are plenty of interesting clues, hints and signs which indicate towards the theory that Native Americans communicated with aliens.